The Jerry’s Gourmet gift basket department has become famous in its own right due to the lovely, dynamic nature of every basket we produce. Whether you're looking to send a seasonal or birthday gift, recognize an anniversary or important milestone, you won't be disappointed with your selection. 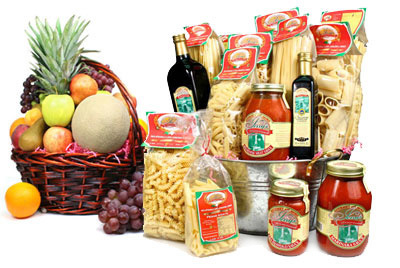 With a basket for every occasion, our supply is bursting with gourmet treasures and specialty ingredients. Our baskets are also great for corporate gifting to employees and clients. Don't see something you love? Give us a call; we can make any custom basket over the phone and ship it to you!